Ivory carving in the Ashmolean Museum. Arabic, Chinese, Egyptology and Ancient Near Eastern Studies, Hebrew, Japanese, Jewish Studies, Persian, Sanskrit, Turkish. Oriental Studies is unique in its sole focus on introducing students to civilisations that are different from the Western ones upon which the curriculum in most British schools and colleges is based. The courses present both the major traditions and cultural trends of the regions studied and, in most cases, their modern developments. All courses include a combination of linguistic, literary, historic and cultural studies and there is a wide range of options in fields such as art and archaeology, history, literature, philosophy, religion and modern social studies. Oriental Studies has a long history in Oxford. 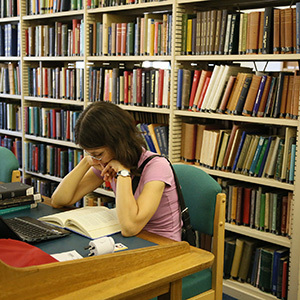 The Bodleian and other libraries have acquired extensive collections. The Oriental Institute, the China Centre, the Bodleian Japanese and Indian Institute Libraries are all specialists in their respective fields. Around the corner from the Oriental Institute is the Ashmolean Museum, which houses superb collections, and the Sackler Library which contains the renowned Griffith Library, one of the finest libraries in the world for the study of ancient Egypt and the Ancient Near East. Most courses offer the opportunity to spend time in the region being studied. 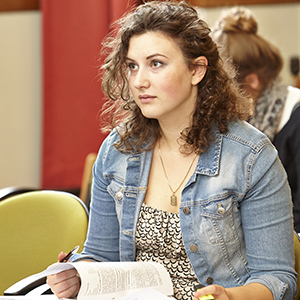 The Arabic course includes a year in the Middle East, the Persian and Turkish courses a year in Iran (due to visa restrictions some students are unable to travel to Iran, in which case separate individual arrangements are made) or Turkey respectively, and the Hebrew course an optional year in Israel. 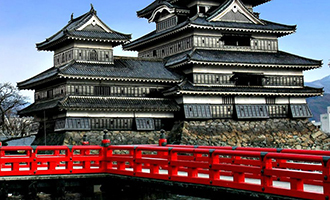 The Chinese and Japanese courses also include a year in China and Japan respectively. Your time will be divided between lectures, tutorials (up to three students and a tutor) and language classes that will develop your writing, speaking and comprehension skills. The rest of your time will be dedicated to independent study, working on regular assignments in reading, writing and translation. Seminar and language class sizes may vary depending on the options you choose or the language you are studying, but there would usually be no more than around 10 students and often fewer, while lectures are normally around 15-25 students. Options listed are only illustrative of what is available. A full list of current options is available on the Oriental Studies website. Subject to acceptance, students may also have the option of Classical Greek or Latin from the Classics with Oriental Studies degree. Year 3 is a compulsory year abroad for students on the four-year track. A full list of current options is available on the Oriental Studies website. Helpful: Students are not expected to have studied an Oriental language before. A language to A-level, Advanced Higher, Higher Level in the IB or another equivalent can be helpful to students in completing this course, although this is not required for admission. Yes, for candidates applying for course combinations including Arabic, Turkish, Hebrew, Jewish Studies and Persian. Candidates for course combinations including Arabic, Turkish, Hebrew, Jewish Studies and Persian must take the Oriental Languages Aptitude Test (OLAT) as part of their application. Separate registration for each test is required and it is the responsibility of the candidate to ensure that they are registered for these tests. We strongly recommend making the arrangements in plenty of time before the deadline. Everything you need to know, including guidance on how to prepare, can be found on the OLAT page. Description: Two pieces, written in English. The particular topic of your essay and the A-level (or equivalent) subject from which it is drawn are not important; it is intended to show how you construct an argument and express your ideas in English. If you do not have any recent marked work written in English (for example, because of the combination of subjects you are currently studying), you may submit a separate piece of work, such as an essay in English on one of the topics you have been studying for your A-level (or equivalent). It may be helpful to seek guidance from your teachers in devising a suitable title. In such circumstances, it would not normally be expected for this piece to have been marked, as it will not have been done in the normal course of your studies. If you have any further questions about what to submit, please contact the Tutor for Admissions at the college which is considering your application (see college pages for contact details). For more information, and to download a cover sheet, please see our further guidance on the submission of written work. The ability to learn difficult languages from scratch requires strong motivation and a capacity for sustained and well-organised hard work. Oriental Studies also requires you to develop skills of analysis, argument and essay writing across the fields of literature, history and religious thought. For more detail on the selection criteria for this course, please see the Oriental Studies website. The skills developed while studying for a degree in Oriental Studies are greatly appreciated by a wide range of employers. Career options include finance, the media, commerce, the Civil Service, the law, accountancy and the arts. Around 30% of Oriental Studies graduates go on to further study. Students taking Arabic, Chinese, Japanese, Persian or Turkish will take the second year abroad. Students of Hebrew can choose to take a year abroad, but it is not compulsory. The Oriental Institute covers the cost of language tuition abroad, but not living costs and flights. 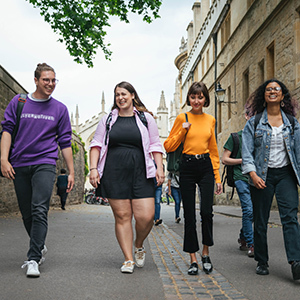 Students who are eligible for government maintenance support will also be assessed for an Oxford Bursary during their year abroad. Some bursaries and scholarships are currently available for students of Chinese and Japanese, and a number of colleges have funds to support their students’ period of study abroad. Click on the UCAS code list to the right to see KIS data for each subject option.